Test students' understanding of eclipses, solstices, equinoxes, phases of the Moon, time zones, and the seasons with this printable exam. 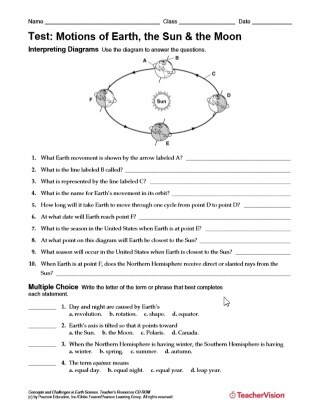 They will interpret a diagram and answer multiple-choice and short-response questions about the motions of the Earth, the Sun, and the Moon. What Do We Know About Earth's Moon?